Last week, MaRS had the pleasure of hosting “Innovation in Diabetes Care: 90 Years and Beyond,” an event that highlighted the tremendous innovations that Canadian and Danish diabetes researchers have shared over the past 90 years. To celebrate, we welcomed the crown prince couple of Denmark to MaRS for the event, one of many events showcasing Canadian and Danish collaboration across a wide array of industries. One such showcase concerned the expansion of Danish firm Specialisterne to Canada with the launch of Specialisterne Canada. Specialisterne’s core mission is to help individuals on the autism spectrum to find meaningful employment by showing employers how they can harness the unique skillsets and talents of those individuals. Last March, the MaRS Centre for Impact Investing was thrilled to showcase the innovative work of the team behind Specialisterne Canada by inviting them to pitch at our Impact Ontario conference. And just last week, I sat down with two members of the Specialisterne Canada team—Alan Kriss, CEO, and Daniel Share-Strom, communications director—to learn more about their Danish collaboration, their growth since launching and their vision for overcoming the employment barriers faced by those on the autism spectrum. Information technology professional Thorkil Sonne founded Specialisterne in Denmark after his third son was diagnosed on the autism spectrum. After the diagnosis, Thorkil began wondering about his son’s future working life and the challenges he would face entering the job market. Thorkil noticed that there were opportunities for persons on the autism spectrum to use specialist IT skills to support an array of business functions, and so he founded Specialisterne with the aim of helping employers to see the potential of these individuals. It’s quite fitting that “Specialisterne” means “the specialists” in Danish. Thorkil’s vision was shared by Specialisterne Canada’s co-founder, Josef Nulman, who also had a child recently diagnosed on the autism spectrum and who contacted Thorkil in the hopes of bringing his model to Canada. Over the past year, Specialisterne Canada has set up operations in Toronto and gained clients in Vancouver, Montreal and Toronto, including a partnership with global IT firm SAP. According to Alan, Specialisterne Canada is working with its Danish and global counterparts to create a global shift in how employers view individuals on the autism spectrum. The goal is to shape how employers create environments for these individuals to flourish, while also being hyper-focused on the Canadian context for employers who are looking to close skills gaps. In chatting with Alan and Daniel, I was very curious to learn what it takes to bring about this new approach to hiring and what this means for their current clients. Specialisterne works with employers to find candidates for open positions. This involves working with human resource managers or business unit leads to determine a profile of the skills required for open positions. Then, rather than completing the traditional resumé submission and interview phases, which can be challenging and uninviting for individuals on the autism spectrum, Alan and his team refer to their own pool of job seekers to find an individual whose skills align with a particular role. Applicants are then brought in to meet their prospective employer and team, and to begin training to determine their fit within the role. Daniel explained that, for the most part, their work is about engaging employers and helping them to see the value in hiring individuals on the autism spectrum by matching the individuals’ skillsets with the positions the employers are hiring for—and they are succeeding in doing so. In fact, Specialisterne client SAP has made a global commitment to having 1% of its global workforce be individuals on the autism spectrum—that’s 650 of approximately 65,000 employees. This commitment demonstrates strong social leadership from SAP, as well as the power that organizations like Specialisterne have to create real systems change and improve the lives of thousands of individuals. Finding meaningful employment is challenging. It’s even more challenging when you have an invisible disability like autism spectrum disorder, as well as an overall lack of understanding of autism in the job market and under-appreciation for the skills and value you bring to a team. Alan noted that current job screening and application systems are designed to find uniformity rather than to bring to light individuality and special characteristics that can help companies to flourish and individuals to grow. I was touched to hear Daniel’s personal story of the challenges he faced when entering the job market as an individual on the autism spectrum. Daniel became an advocate and public speaker devoted to educating others on autism at a young age. He graduated from university with an honours bachelor’s degree in communications, but struggled to find employers and employment agencies that could help him find a role in the communications field. Daniel recently joined Specialisterne as the director of communications and is eager to tell the company’s story. He is driven by the potential he sees to educate and inform employers and to help overcome their misunderstandings or misconceptions about what it means to be an individual on the autism spectrum. Daniel believes that, through education, Specialisterne can drive behavioural change and achieve its global mission of supporting one million individuals on the autism spectrum in finding meaningful employment. Specialisterne is driving social change by breaking down barriers to employment for individuals on the autism spectrum. These barriers are rooted in perceptions about autism that are not always accurate. The dandelion has become Specialisterne’s symbol of the power of perspective. 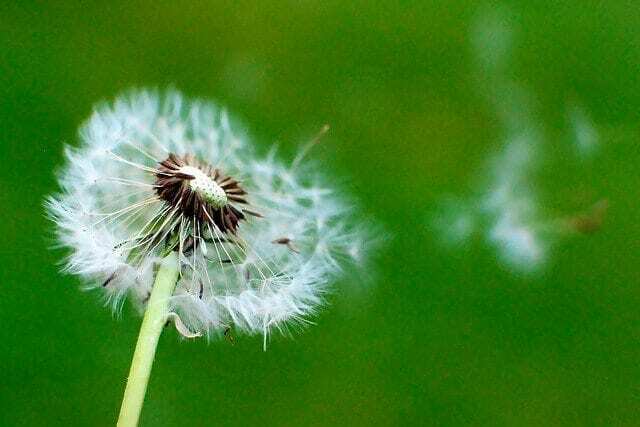 Children love playing with dandelions, whether blowing the flowers’ seeds into the wind or using their yellow colour to paint, explained Daniel. As adults, however, the love affair with dandelions quickly changes and the flowers are seen as weeds of little use. Yet dandelions are used medicinally and as herbs across the world. It’s only once one sees the value of the dandelion that it can be used to its fullest potential. The same can be said for individuals on the autism spectrum. It’s important that we change our own perspectives and create opportunities for all. It’s remarkable to see how innovation makes its way across borders (and in this case oceans), and it’s even more remarkable when social innovation that has the potential to improve the lives of people who have not been given the chance to grow their own potential does so. I applaud Specialisterne Denmark, Specialisterne Canada and employment leaders such as SAP. We’ll continue to follow them on their world-changing journey!